This is a delicious kurma with pakoda's and selected spices . 2 tsp. of rice flour. In a bowl , Mix the flour along with salt , powder and baking soda with sufficient water. Make as a thick batter. Add the carrot, onion and coriander leaves. Mix them well. Heat oil in a pan, take small ball size amount from the batter and fry them well in medium flame, until they turn golden brown. Drain them in kitchen towel and keep it aside. Grind them to a smooth paste with sufficient water. Heat 3 tsp. of oil in a pan, add the onion , saute till they turn translucent. Add the ginger- garlic paste and saute them well. Now add the chopped tomatoes , along with turmeric powder and cumin powder. Saute them until the tomatoes get cooked well. Now add the grinded paste along with little water and salt, allow it to boil unitl you get the thick consistency, (adjust the water accordingly to your thickness). Such a tasty pakoda. Really making me drool here. Nice clicks too dear. 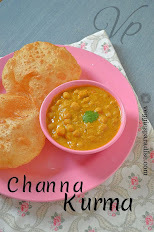 Interesting recipe.. looks soo tempting dear.. cute snaps!! I love this,though i havnt tried before! We make something quite similar, will surely taste good with rice. Very innovative one aruna, using pakoda in kurma gravy is such a nice idea,looks too good as well..
this is so innovative!!!! 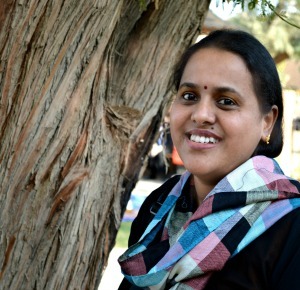 thanks for posting and very nice clicks! My mom's signature dish, just love this, urs makes me hungry..
Looks too good Aruna. Can have pakodas by itself too :-).. I loves these..looks so deliciois kurma..
pakoda and veg kurma are my favorite..this one pakoda kurma ..superb yummy delicious. 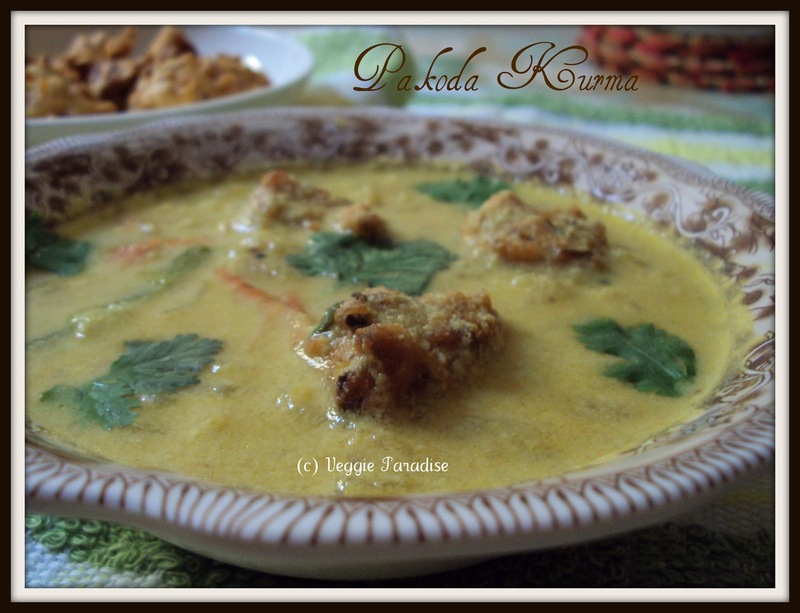 Pakoda Kurma looks really tempting and would go really well with rice. Great recipe..very innovative and wonderful kurma. Pakoda kurma looks really nice. Pakoda kurma looks very delicious. Loved adding carrots to pakodas..my favourite too..loved the click.. Simple and delicious.. simply superb dear.. nice clicks!! superb presentation and a easy recipe too. wow!really gud one...i never tried dis..but had at friend's house. Pakoda Kurma is interesting. Made them with kadhi, ti be tried with kurma. Look great! The recipe sounds very interesting and it looks tasty too..
Looks soooooooooo good and yummy .. wonderful sidedish..
Nice kurma Aruna!Never tried this before...Thanks for posting. Thank you for visiting my blog and also for your kind words! This is my first time here...your blog looks great! 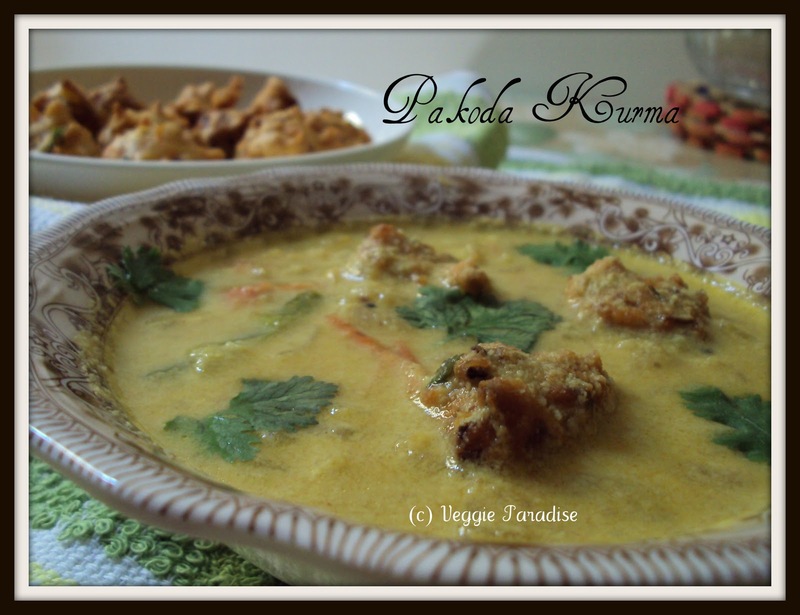 I make pakoda kadhi quite often but pakoda kurma is new to me. Looks delicious! Will give it a try. Pakoda kurma is so welcoming n apt to have it with rice aruna.It's raining here n i wish i could have them for the lunch. Wow this recipe is new to me.Never tried pakoda kurma.Will try. 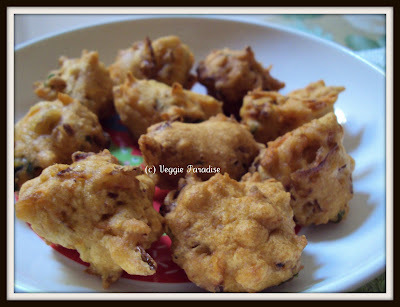 interesting recipe of pakoda curry! My husbands favourite dish. Urs looks great and delicious. What a unique name of the dish!! Tasty kurma.. heard about this one but never tried it.. Thanks for sharing will try it soon.. This is making me drool!! Would love to eat this..
wow this is such a nice recipe! my kids would luv it.